The 77-year-old actress - who has portrayed M, the secret agent's boss at MI6, in seven films in the series - is proud to be part of such an iconic British series, but admits she was particularly keen to take the role because of what it meant to her spouse Michael Williams, who passed away in 2001. She said: "It's part of Britain. It's part of our psyche. "It was my husband who said, 'Oh, you've got to go play M so I can say I live with a Bond woman!' 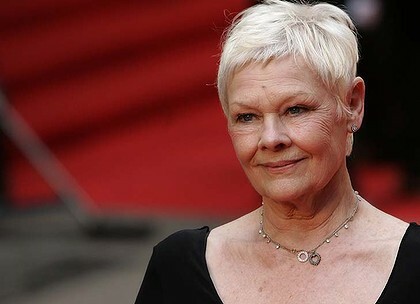 "
Thanks to her stint in the film series, Judi was invited to lunch at the real MI6 headquarters and loved the experience - particularly as she was presented with a special souvenir afterwards. She recalled to the New York Daily News newspaper: "I asked them some questions, some of which they could answer and some of which they couldn't. And during the course of the lunch, they gave me a camera - a little camera. "They said, 'This has been used ... to solve something. We can't tell you what, we can't give you film for it, but it has amazing high definition.' It was a tiny little camera in a Smythson red leather case, which makes it very British. "And I opened it and it says, 'To M from C', because the head of MI6 [in real life] is called C. So it's a treasured possession, as you can imagine."